Please let me do your DATA ENTRY work. 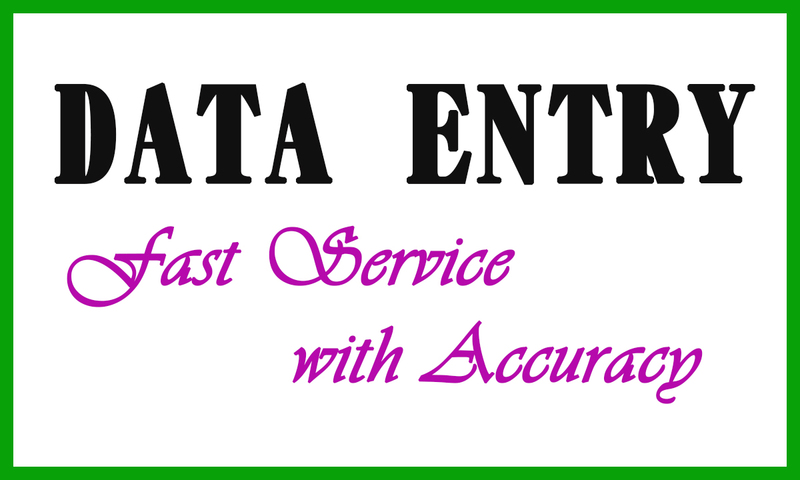 I will do Data Entry by following your instructions. I am also experienced. I can do much more than DATA ENTRY works. Copy/Paste the data from websites . Arrange the data in Excel sheet. Fill up the form . Unlimited Data Entry and Typing . Note:I will give you unlimited revisions until you happy with my work. If you have work in Bulk Quantity please Contact with me please. I am waiting for your reply.